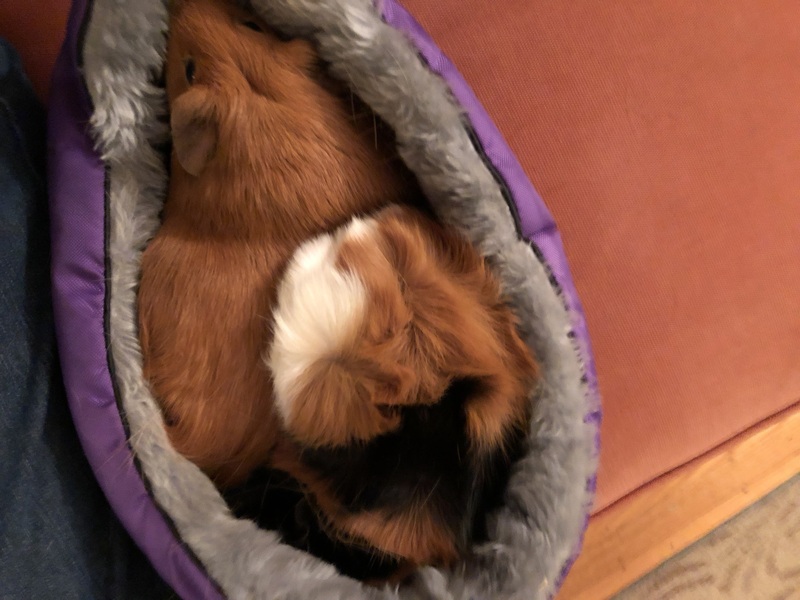 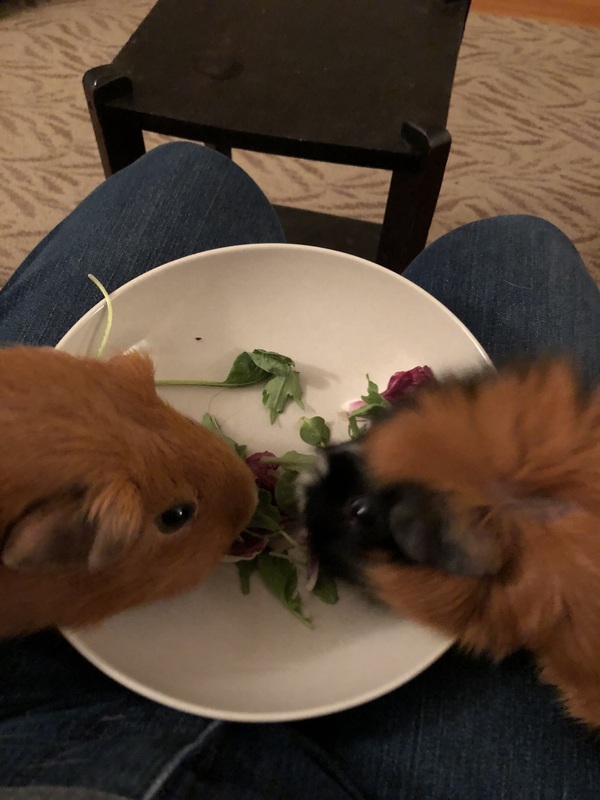 This is how I bond with my piggies: a bowlful of radicchio (plus additional greens this time) on my lap. 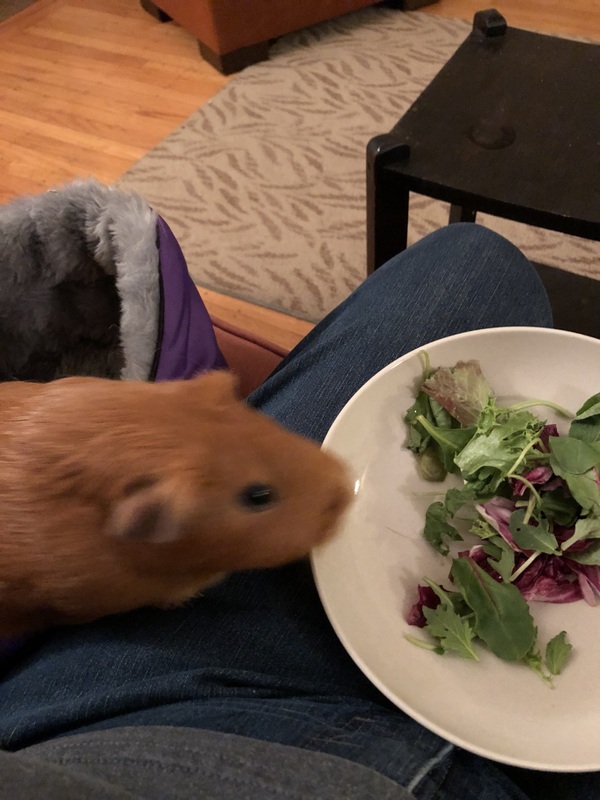 Ada is the brave one and takes the first bite. 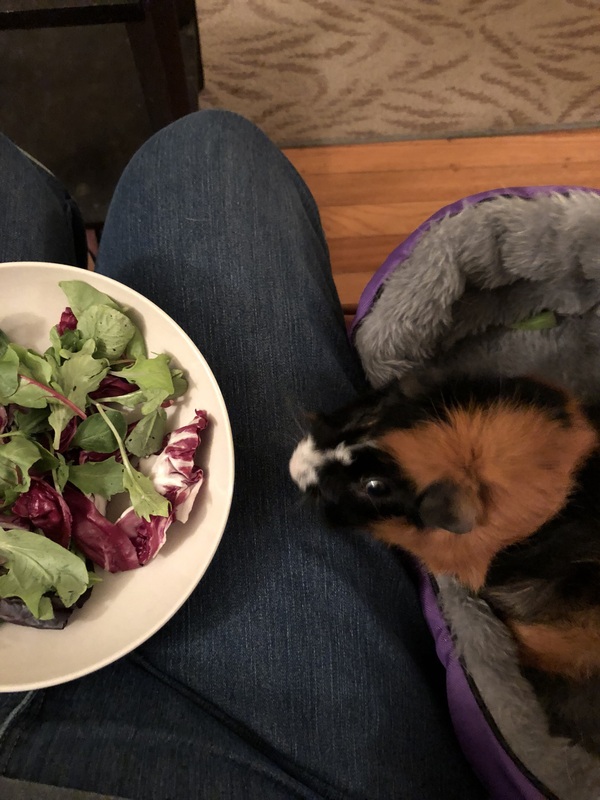 Grace’s extra-sensitive prey instinct makes her nervous but eventually she digs in, lest Ada get all the radicchio. 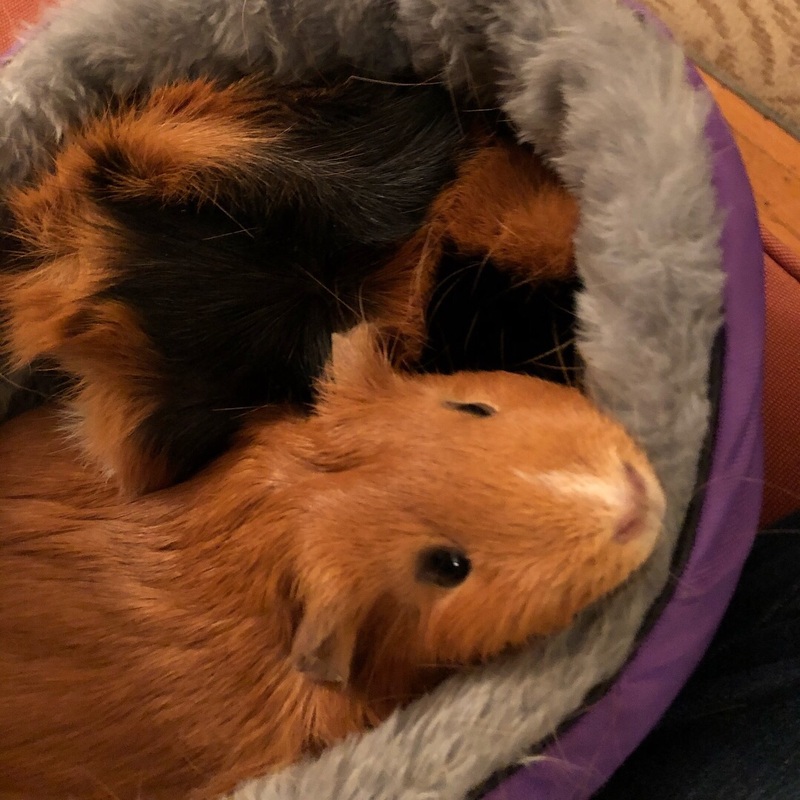 When all the treats are gone, Ada invariably sidles over to Grace’s cuddle cup and hops in uninvited. 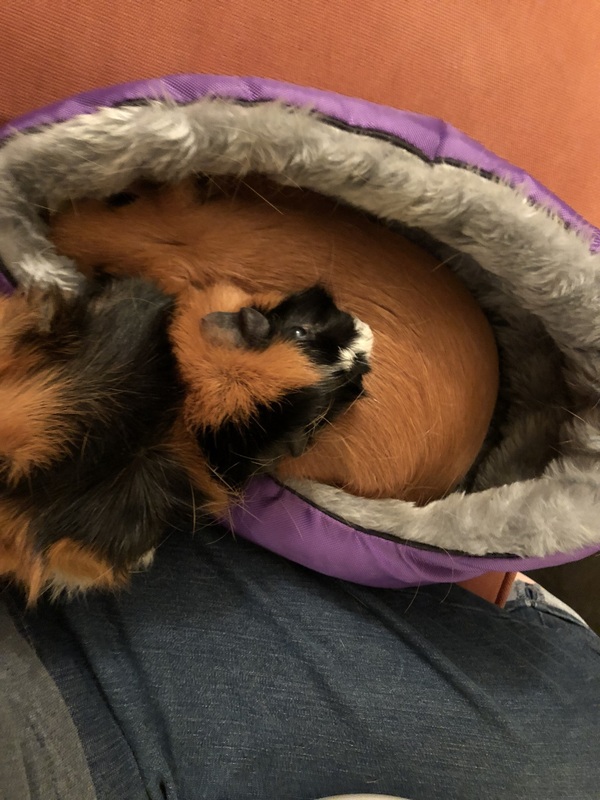 Neither Grace nor I understand why Ada does this!